Kent, affectionately known as the Garden Of England, and stretching all the way from the far reaching Kentish coast to outskirts of London, is a vast and widely populated county in the South East of England. Known for historic cities like Canterbury and Rochester, as well as picture perfect towns and villages, Kent has a wealth of architecture that is still very much protected and enjoyed by residents today. As a nationwide supplier of lifts throughout the UK, we are delighted to supply and fit mobility lifts for Kent. From Oast houses to office blocks, Tower Lifts are on hand to assist with all of you mobility lift requirements in Kent. We specialise in the provision and installation of disabled access lifts for Kent. Our vertical lift solutions are designed with the needs of the user in mind. Whatever the size, age or projected use of the building, our team of fully qualified lift engineers can find the perfect mobility lift to suit. Our disabled lifts are perfect for wheelchair users or those with limited mobility. They can be seamlessly installed into virtually any space, and are designed to complement the surrounding environment and character of the building. Wheelchair lifts are of vital importance to visitors who need to traverse between floors, but are unable to use a traditional stair well. Disabled lifts offer much more flexibility and security than ramps do, and in many cases offer a longer laster solution for buildings that need to offer extended access to all residents and visitors. 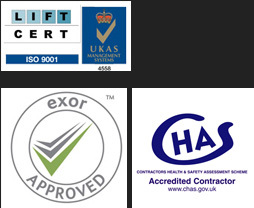 As the number one lift company for Kent, we can be on hand for every aspect of your project. From the initial design through to the final installation and ongoing maintenance, our mobility lifts for Kent offer permanent, cost effective solutions to building owners, landlords, local authorities and building control management. We have fitted all kinds of lifts in the area – Tower Lifts were delighted to be able to supply and fit firefighter lifts in residential apartment blocks in Kent. Our experienced and highly skilled lift engineers embarked on a project to install Firefighting lifts as a design feature in a popular apartment building in Kent. As an existing feature of the building, our lift engineers were able to advise the client on the strict regulations designed to provide protection in case of a fire to apartment residents. These types of lifts provide access for firefighting crews to every floor of the building, and include a vitally important backup power supply, and built-in safety features including an override function to cancel all car-calls in the event of an emergency. Interestingly, firefighting lifts also feature the installation of a ‘Fireman’s Switch’ in the lobby of the apartment building which allows firefighters full control over the lift service on call-out. Because safe exit from a building is paramount in the case of fire, these types of lifts offer additional safety measures for a wide variety of commercial and residential premises in Kent.